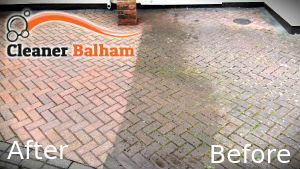 We offer high-quality jet washing services within the territory of Balham, SW12, as outdoor areas should also be kept clean and neat. Our company has become one of the leading providers of services not only for indoor spaces, but for outdoor ones too, making sure that its customers will get the best quality at the best prices. What we provide is a quick and thorough restoration of the impeccable look of our customer’s outdoor hard surfaces, including driveways, patios, decking, swimming pools, etc. You can contact us any time in order to book the excellent jet washing services of our company. We can also cover the surfaces with special sealants upon customer’s request. Our company works only with proven and experienced professionals, who are motivated to bring our customers the best quality in return to their money. Our cleaners always make sure they check the overall condition of the services before giving the green light to the cleaning process in order to choose the equipment and detergents that would be most appropriate. Both hot and cot pressure washing is carried out, but our customers need to make sure they provide our jet washing technicians with access to water and drainage. We guarantee that all kinds of stains, oil spillage, splashes, splatters, tyre marks, dirt and grime will be removed quickly and easily thanks to the powerful cleaning machines used over the process. In addition, outdoor areas often get slippery, hence dangerous, because of various moss accumulations. 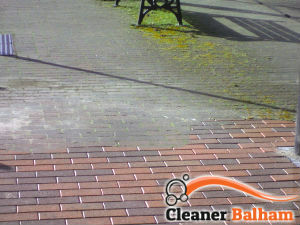 To prevent this from happening, our jet washing cleaning service is the best choice for you. In addition, special protective and extra non-slippery coatings are available upon request to our customers. You can find us any time in Balham via a simple phone call. You can also contact us over the e-mail in case of any questions or requests.